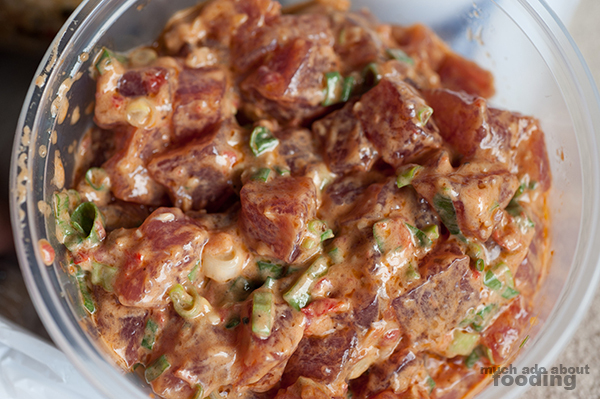 "Where can I get the best poke on Oahu?" "You have to go to Tanioka's." Decision made. Several people pointed us in this direction so we just had to go. Now, you must know that Tanioka's is not exactly a restaurant so much as it is a grab-and-go deli/fish market. Sure they do catering and all but right when you step inside, the interior is taken up by a line that wraps around the different food displays and shelving, leading up to a glass case of the freshest poke around. We were willing to brave the line, and my oh my are we glad we did. 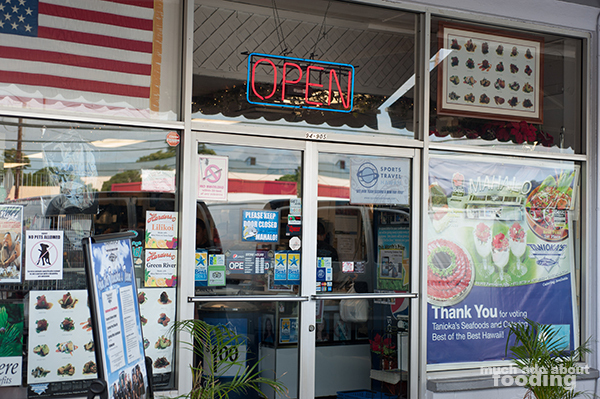 Located in a little out-of-the-ways part of of town and on a lot that makes parking a horrendous nightmare, Tanioka's looks like a grocery store from the outside but is hustling and bustling inside. 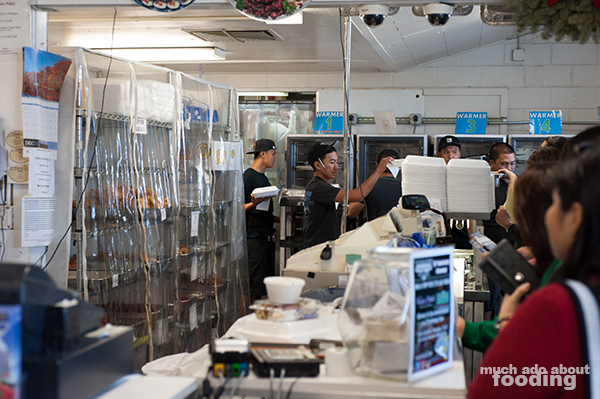 The chaos behind the counter only looks like so when you are waiting in line but the moment you step up for your turn, it is efficiency at its finest. You better know what from the delectable displays you want because the poke 1) goes away real fast and 2) is presented in so many options that you can't stand there hemming and hawing at your thoughts. 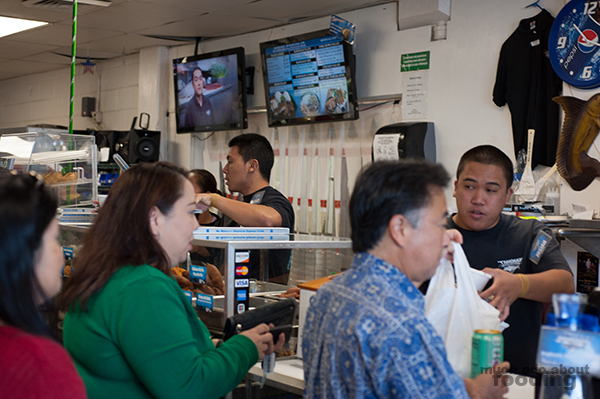 On one side is the regular customer grab-and-go line but on the other side is a counter for larger orders and custom fish purchases. They get all of their product fresh the same morning you order it and have been doing so since 1978. 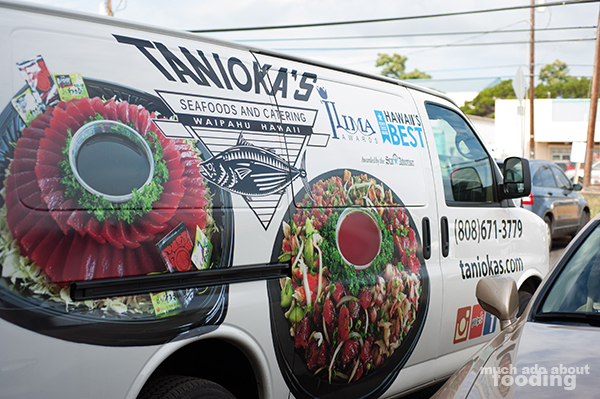 If you want fresh seafood, Tanioka's is the place to go. 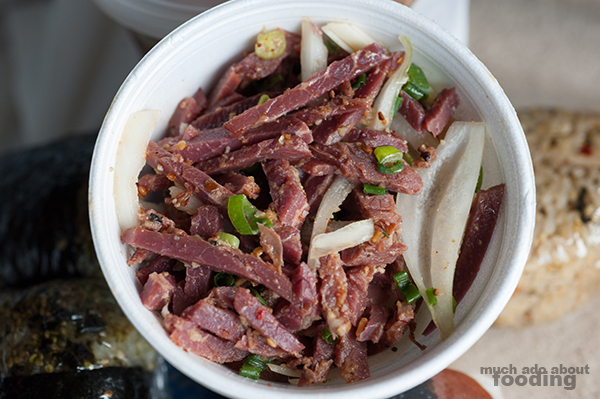 We opted for three different types of poke once it was our turn - a cured beef strip one, mussels, and spicy ahi. Actually, they were all fairly spicy but in a flavorful, thoughtful way. 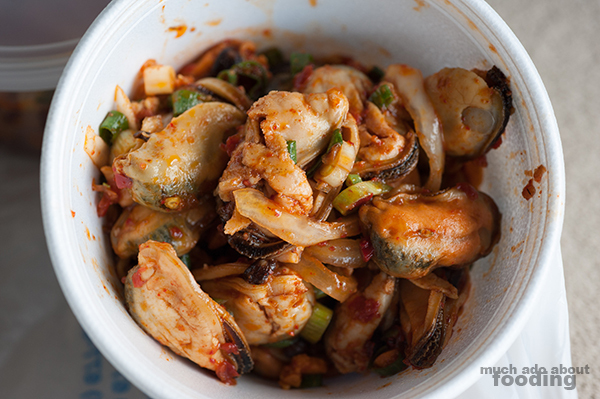 The large chunks of onions with the beef worked out perfectly, cutting through the red meat's signature profile, and the mussels were coated in their seasoning for a balanced mixture. We all really enjoyed their spicy ahi because the fish was sliced so perfectly well sans sinew and grit. Each chunk was flawlessly soft and smooth throughout as Tanioka's takes care to remove all hindrances in the fish. To boot, everything was incredibly fresh. No wonder it is the main recommendation by natives on Oahu! 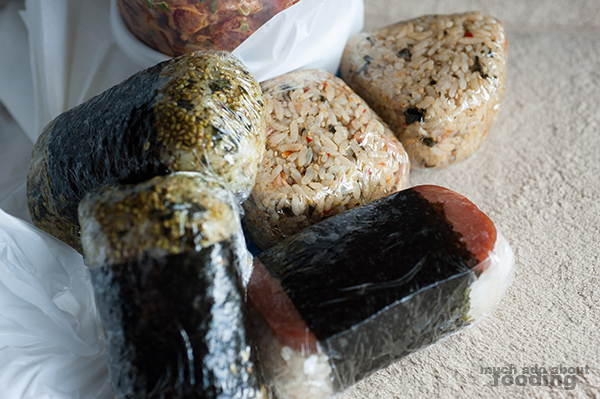 Oh and of course, we had to make out of their with some musubi as well - perfect for the plane ride home that evening.